Here’s a truly masterpiece, an awesome jazz piece, I’ve Got You Under My Skin. Written in 1936 by Cole Porter, it was not perfect till Nelson Riddle’s rearranged this song. Sinatra included this song in his album Songs For Swingin’ Lovers (1956), and it was a huge hit. From then on, I’ve Got You Under My Skin was to be a song he would sing all his life. Frank Sinatra was to re-perform I’ve Got You Under My Skin in 2 other albums later, in Sinatra’s Sinatra (1963) and Duets (1993) with U2’s soloist bono. Except the version with Bono, in which Bono can be considered as having ruined the song, it is very hard to find a bad version of this song. 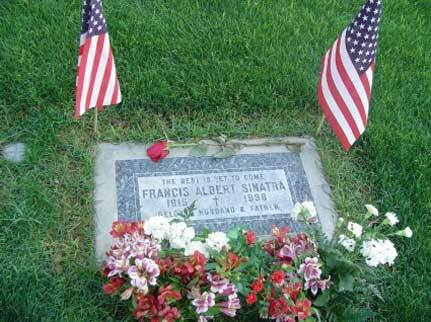 Mr. Sinatra included I’ve Got You Under My Skin in his concerts great many times, making it hard to count. And every time, he was legendary. The orchestration is very rich and highly enjoyable with a trombone solo, and Sinatra’s shouting “Don’t you know you fool, you never can win”, and stopping at a point and re-singing the chorus starting with “I would sacrifice anything…” makes it perfect. What did Frank Sinatra say about I’ve Got You Under My Skin? Here’s a wonderful version of I’ve Got You Under My Skin from A Man and His Music. I’ve Got You Under My Skin might not be as widely known as My Way, Strangers In The Night or New York New York, but surely it is known by almost everyone that knows Frank Sinatra, and I might add this is one of his greatest songs of all times.